28 BPI CEU $225 - Learn all the building science basics! 3 courses in 1 at discounted price. BPI professionals earn 28 CEU credits for continuing education. BPI Energy Modeling & WorkScope This course satisfies BPI’s requirement for 6 CEUs of training on software modeling and work scope development in order to waive your written recertification exam. RESNET Home Energy Survey Professional (HESP) Learn how to conduct a walk-through assessment of a home's general energy performance and make basic recommendations for improvements or further analysis. ASHRAE 62.2 COMBO Assessment, Design & Install Learn how to size, choose, install, test and document the ventilation system to comply with the latest ASHRAE 62.2 Standard – plus the forms and spreadsheets you'll need in the field. Commercial Lighting Assessor Course Your entry into a $44 billion industry. Includes a distributorship with a US manufacturer of quality LED lighting products. Intro to Solar Photovoltaics Learn the fundamentals and best practices of Solar PV in this self-paced, online course. Includes exclusive bonus module: How to Sell Solar PV Systems. 6 BPI CEU This online course will help you study for the ICC Residential Energy Inspector exam and implement the IECC code. RESNET EnergySmart Contractor Learn about energy efficiency and the house as an interactive system from a contractor's perspective. Home Energy Score Assessor Training Prepare to challenge DOE’s Home Energy Score Exam – and gain the skills required to work in the field as a Home Energy Score Qualified Assessor. ASHRAE 62.2 Residential Ventilation Assessment This course is designed for Energy Auditors to assess existing ventilation systems and prepare work scopes. ASHRAE 62.2 Mechanical Ventilation Design & Installation This course is for Ventilation System Installers, QC Inspectors and Program Administrators who have already taken ASHRAE 62.2 Residential Ventilation Assessment. 4 BPI CEU $99 - Be qualified to provide verification for energy code requirements for various jurisdictions. BPI Multifamily Building Analyst Training Learn how to conduct energy audits and prepare work scope recommendations for multifamily residential buildings. BPI Air Leakage Control Installer (ALCI) Course Learn specific methods to tighten the building envelope and install insulation in order to reduce energy loss, improve comfort and minimize pollutants caused by air migration. 18 RESNET Rater PD Credits / 12 RESNET QAD & Rater Trainer CE Credits $145 - Learn how to help homeowners improve their indoor comfort and save energy. 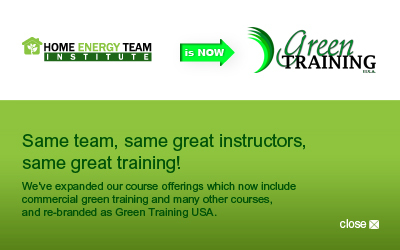 18 RESNET Rater PD Credits / 12 RESNET QAD & Rater Trainer CE Credits $375 - Learn the fundamentals and best practices of Solar PV and how to perform lighting assessments. (8 NRPP CE Credits) A journey full of surprise discoveries, heartbreaking stories and fascinating accounts from the history of radon. 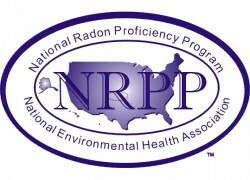 (4 NRPP CE Credits) Refresh your knowledge on the basic tenets of radon testing.